A lot of folks here are probably familiar with things like the 'grabenpanzer' from WW1, but I'm curious to learn something on examples of body armour prior to that, any time between the American Civil War up to 1914. Does anyone have info on this subject to share? I know nothing about any of this, but I am really interested to find out - great question and looking forward to some great answers. One of the few well-documented efforts at lightweight body armor during this time period was the effort of Casimir Zeglen to sell bulletproof vests to political bigwigs. I have no idea whether the stories concerning his offer to President McKinley & unsuccessful effort to protect Archduke Ferdinand are true, but he definitely wore the vest himself in public & tested it with live fire on camera. It's hard to separate fact from fiction when the subject falls into the time era of Ripley's Believe It or Not. Archduke Ferdinand was hit in the neck above the vest, not that he was wearing it anyway. The early silk and cotton vests where heavy and useless against the rifles of the day. Mail was still in use in some areas and not just heritage pieces but new production. Here's some later mail armour made in England, possibly by the Wilkinson swords company around 1880-90 and for the Khedive of Egypt's regiment of "Iron Men". Note that it uses split rings. Some times we see a combination of mail and plates, in the Philippines some of the Moros wore armour until quite late. Thanks Graham, interesting examples. Is there any info on how effective those Korean vests were? 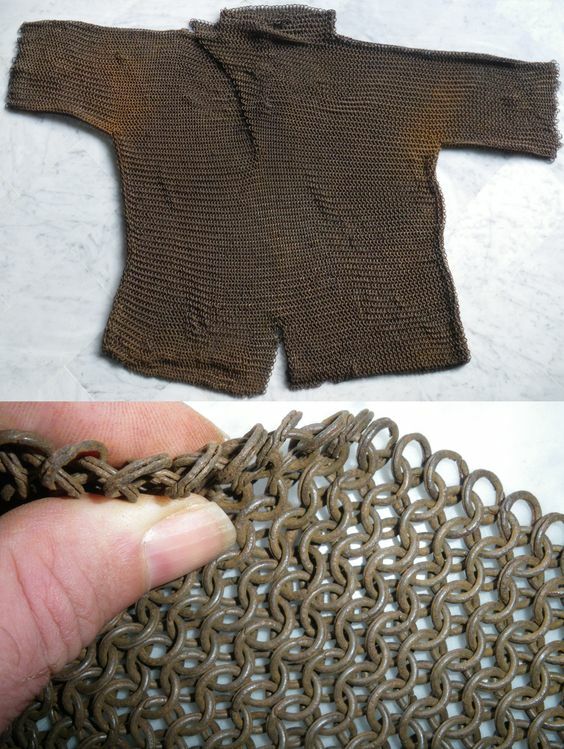 Apparently the mail was too brittle, and the rings would fragment when struck by bullets and aggravate the injury. I'd note that the battle of Battle of Omdurman mostly involved the supra Anglo-Egyptian fire power keeping the much larger Mahdists from closing in to melee. So the armor didn't have much chance to shine. As for the Korean vests, i cant find much in the way of detail on the vest them selfs. But i can point out that the US navy was useing .50-70 Government by the Battle of Ganghwa and the Korean mach locks may well have been less powerfull. There is an oral tradition which places one body armour in the Chilcotin War of 1864, which broke out when a party of road-builders in what is now the interior of BC were so offensive to the locals that they banded together and murdered most of the builders. That set the British authorities into a tizzy, and eventually they found six men to hang. In 1864, Maclean was hired out of retirement by Governor Seymour to lead a group of mercenaries to join up with the colonial expeditionary force commanded by William Cox, who had been instructed to carry out the capture of the Tsilhqot’in war leaders. On July 17, 1864, defying the direct orders of the cautious William Cox, Maclean bolted from the main camp of the expeditionary force, near Eagle Lake, and set out to hunt the Chilcotin warriors, accompanied by a small party of mercenaries. Two Tsilhqot’in fighters whose names are lost to history—they are given variously as Hatish and Sachayel, or Anukatlk and Shililika—were watching Maclean’s every move. On a wooded hillside not far from what was to become the cattle camp known as Captain George Town, the Tsihlqot’in fighters whittled pieces of bright wood and dropped them on a trial Maclean was ascending, knowing he would pick them up and put them to his lips to determine if they’d been recently cut. And he did just that. Maclean was known to wear a kind of body armour, an almost medieval breastplate that covered his chest and stomach. “I guess he’s going up a hill, eh? Kind of warm, eh? Kind of hot. So he took off his shirt, like that,” Williams told me. “Somebody heard they got steel shirts. I don’t know what kind of shirt that is. So that time he’s not wearing his shirt, I guess. . . But it was opened up, right here.” Williams pointed to his chest. Maclean’s mercenaries panicked and fled back to Eagle Lake to tell Cox what had happened. Cox panicked, and withdrew his section of the expeditionary force back to the main camp at Puntzi Lake. (Glavin is a journalist writing an opinion piece for a political magazine, not a professional historian writing scientifically, so I'd focus on the oral tradition not the larger story that Glavin wants to tell- the Chilcotin War is controversial). My understanding is that there were a few companies making concealable armour for the ACW, so its not improbable that one ended up in BC. I have also seen one "coat of armour" in a list of weapons confiscated in San Francisco's Chinatown in 1878. 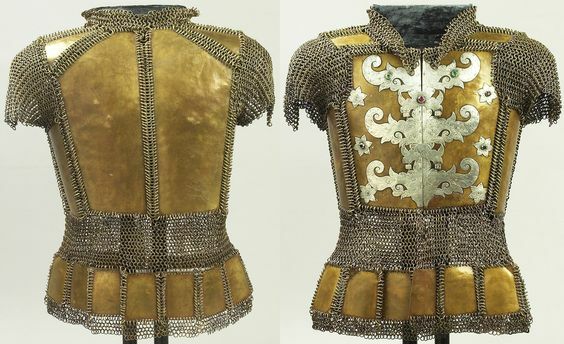 I would guess that looked like traditional Chinese armour, but possibly reinforced to stop revolver bullets. Remember that in the period you are interested in, there were plenty of people making traditional armour in highland Asia, Japan, Africa, and other remote corners of the world.